Happy EastOver, everyone! It’s that special time of year when religion, eggs, and chocolate combine. But I love this duo of celebrations for more than an abundance of frittatas, candy, and excuses to gather with friends. I love EastOver because of matzo. Matzo just happens to be one of my favorite low-sodium ingredients. 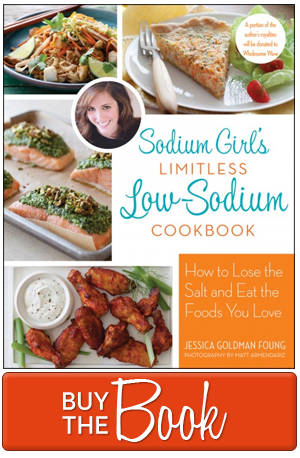 It generally contains 0mg of sodium. And sometimes, during Passover, you can find flavored matzo (and chocolate matzo!) as well. Although, you can always spice it up on your own. But more specifically, I love matzo because it provides a solution to one of the biggest sodium challenges (which we will conquer this month): Eating while at work. 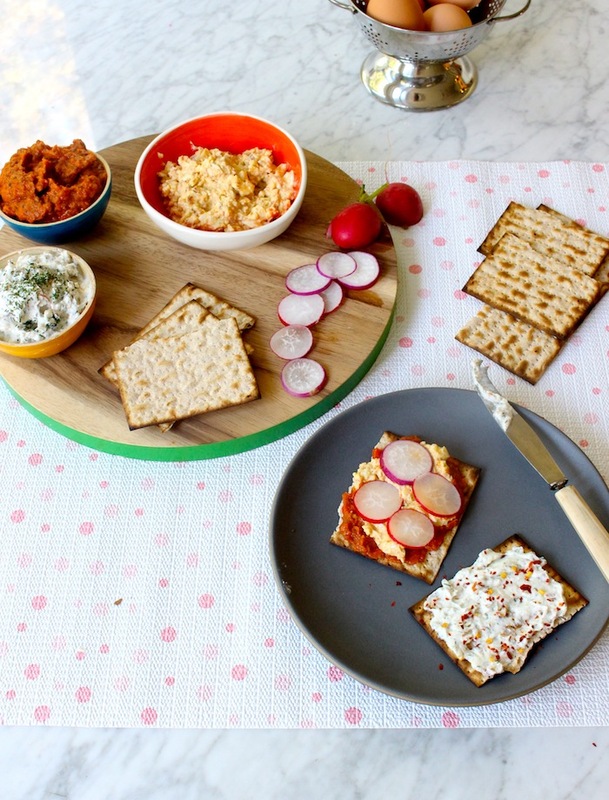 When you’re looking for satisfying bread or cracker substitutes, matzo is your gal. Use it in big square “sheets” or break them up. 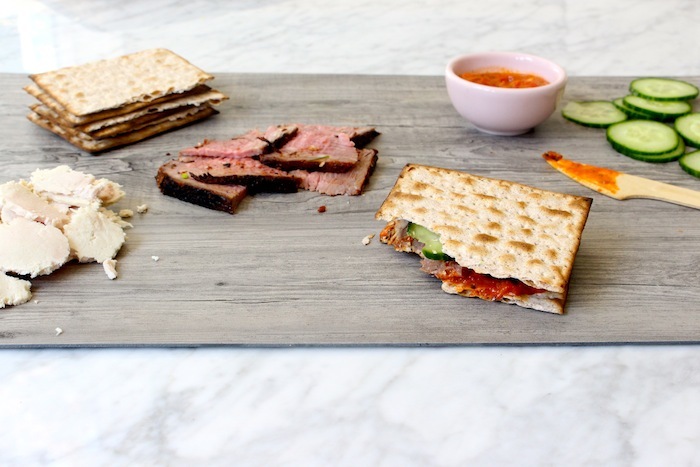 Then, for a quick, not-so-sad desk lunch, pack matzo crackers and a few dips and spreads for a build-your-own matzo sandwich bar — open faced or smushed together. Or both. 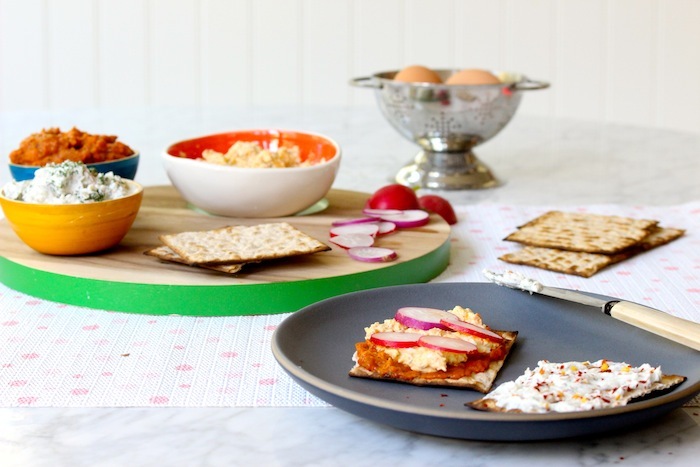 But since it is EastOver, let’s also use matzo in a similar fashion to make a super easy Matzo Bar that friends of all denominations and dietary needs can enjoy. 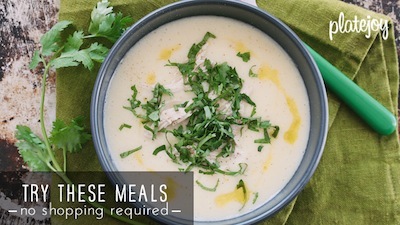 Armed with dips, spreads, herbs, and do-dads, let everyone to make their plate exactly as they want. Do it for Easter Brunch or Passover Appetizers (if that’s a thing). And then remember to save leftovers for work next week. For this spread, I made egg salad (hardboiled + a little yogurt), spiced with my Salt-Free Bacon Spice (which has no bacon in it, so totally Kosh). I also made my favorite Low-So Smoked Fish Spread. 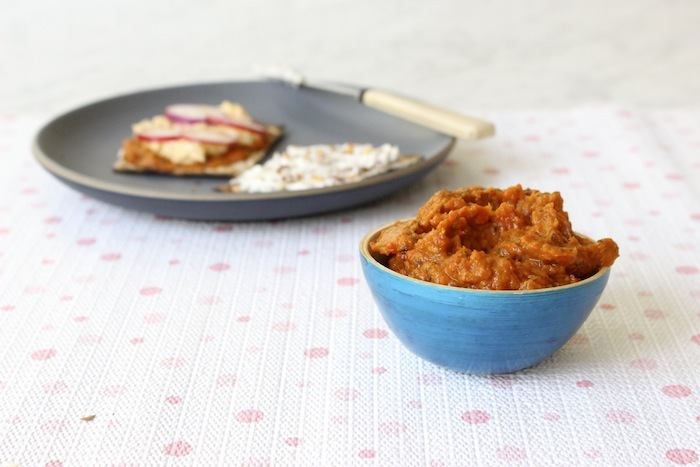 And then a super kidney-friendly, Roasted Red Pepper Eggplant spread (recipe below). It’s all kinds of awesome. And speaking of awesome, let me also give you a little gift I like to call Apple Doughnuts. 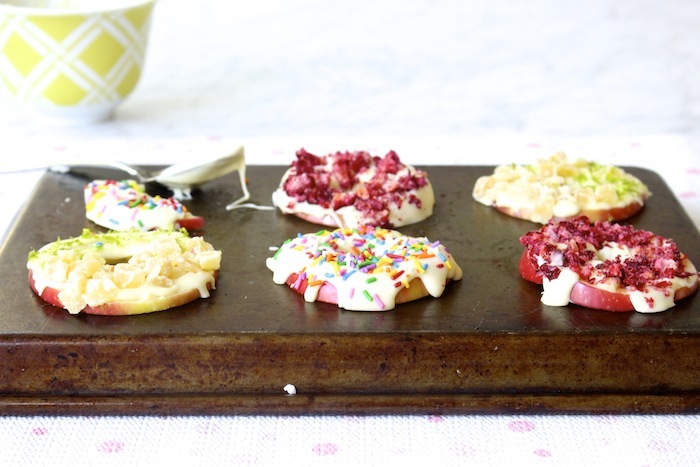 Yes, I’m talking about sliced apples, coated in melted chocolate, and covered with an array of sprinkles to look exactly like doughnuts and taste exactly a thousand times better. They also happen to be Passover-friendly, gluten-free, egg-free, low-sodium, and low-potassium in case you were wondering. Also, unbelievably cute and kid-approved. And no-baking required. Really, they are an EastOver miracle. 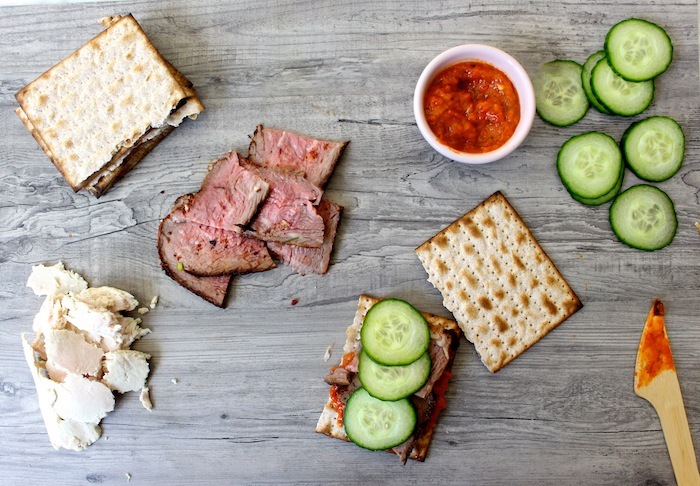 So this weekend, no matter what celebration you attend or host, bring a little Matzo to the party for some low-so-good lunching solutions. Preheat oven to 400dg F and line a baking sheet with foil. Slice the eggplant in half, across its midline. And then slice in half again, lengthwise. Layer the four eggplant pieces on the foil in a single layer, purple skin-side won. Drizzle with 1 tablespoon of olive oil, using your hand or a brush to spread it out all over the eggplant flesh. Then, cut the bell pepper in half and place on the foil-lined sheet as well, skin side up. Put the whole thing in the oven and cook until the eggplant flesh is soft and golden-brown, about 40 minutes. Take the sheet out of the oven and place the eggplant aside to cool to the touch. Then wrap the bell pepper in the foil to steam a bit more, about 10 minutes. Using a spoon, scrape the roasted eggplant from the skin and into a food processor. Unwrap the foil and removed the skin from the bell peppers, Chop the bell peppers into chunks and then transfer them to the food processor. Add in the remaining 3 tablespoons of olive oil and the spices. Then blend until you have your desired dip/spread consistency. Store in an airtight container in the refrigerator for up to a week. First, core your apple. Or if you are like me and don’t own an apple coring tool, side your apple into rounds (about 1/4-inch thick) and then use a pastry tip to cut out your “doughnut” hole. Place the apple doughnuts on parchment paper. 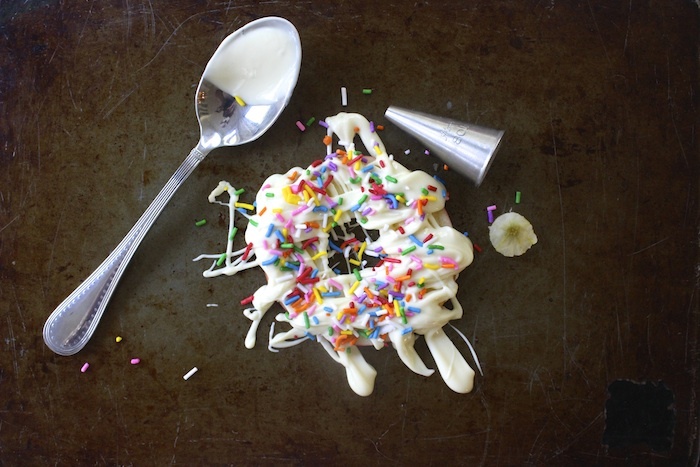 Place the white chocolate chips into a microwave-safe bowl and begin heating for 15 seconds. Take the bowl out and stir the chips. Microwave again for 15 seconds. Take the bowl out and store. And if not melted yet, then microwave again for a final 5 to 10 seconds. Working quickly, drizzle the tops of the apples with the white chocolate. Then sprinkle as desired. 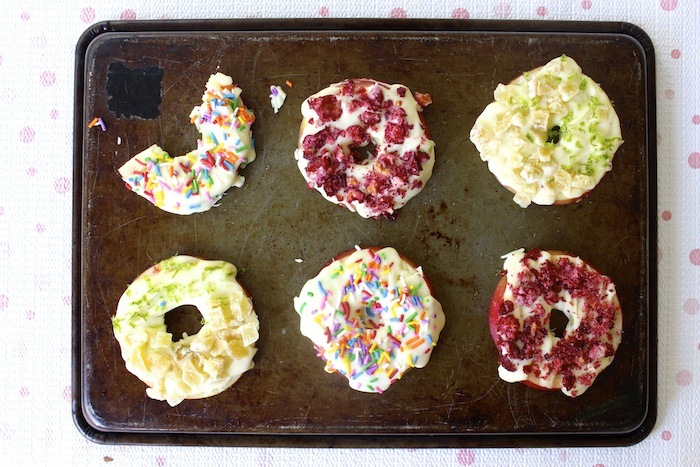 Place the decorated apple doughnuts in the refrigerator until you are ready to serve/eat.